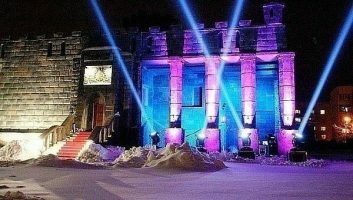 Chateau Mystique is a restaurant and entertainment complex, built in the style of a castle of the XV century, which offers its visitors a holiday in medieval traditions. From time to time concerts are held here – one of the halls of the complex accommodates up to 800 people. The area of the Chateau Mystique complex is 1500 square meters. 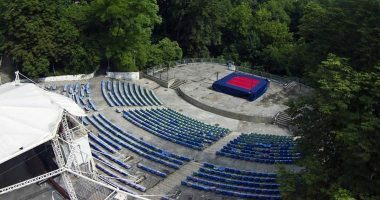 It is located on the outskirts of Kiev, in Bortnichi. The Kiev House of the actor is a landmark Kiev building, which is over 100 years old. 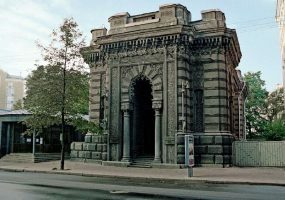 At different times there was an institution of political education, a house of the peoples of the east, a puppet theater and a cinema. Now it is a compact creative center with a cozy concert hall for 200 people, an exhibition hall and a specialized theater library. Atmasfera 360 is a cultural, scientific and entertainment center in the Kiev Planetarium, where since December 2011 there was established a unique spherical cinema. Spherical cinema is a place, where films are projected onto the dome with the help of projectors with an overview of 360 degrees. Thus, the viewer, sitting under the dome, sees what is happening not in front of him, but around him. Therefore, watching movies in such an unusual format makes Atmasfera 360 unique in its kind and a trip to such a cinema will leave much more impressions than in a regular movie theatre! 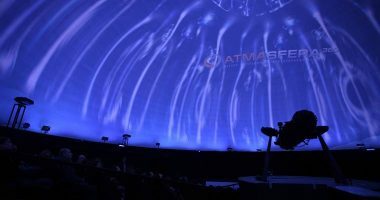 Atmasfera 360 is one of the largest and most modern planetarium-cinemas in Europe. The area of its dome is 830 square meters. Address: st. Velyka Vasilkyvs’ka, 57/3 (the building of the Kiev Planetarium, metro station Olympyiska). 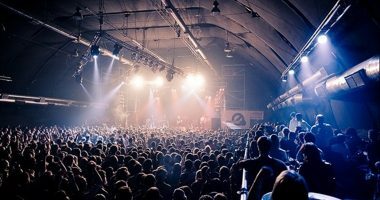 Club Atlas – a great choice for all who dream of an unforgettable music concert. Three dance floors with electronic music. Five bars with a wide assortment of drinks will not leave indifferent connoisseurs of exquisite cocktails. And of course, to buy tickets for a concert at Atlas – means to give yourself and your company an enchanting mood! Address: st. Artema, 37-41 (metro Lukyanovska, Golden Gate). 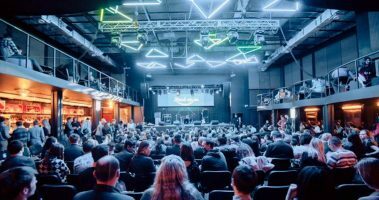 Alta Expo is one of the best concert venues in Kiev. 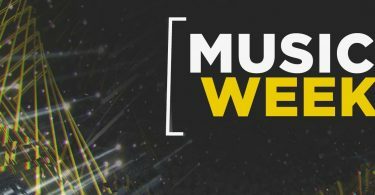 Official site of the Ukrainian Fashion Week. The capacity of the Alta Expo hall is 800 – 2500 seats. Many organizers gave their preference to the Alta Expo, just because the hall is in an excellent area with an excellent traffic intersection. The range of use of such a site as the Alta Expo is quite wide and is determined by the format and level of events conducted – from parties to status, international level festivals. Bingo Club is one of the oldest clubs in Kiev, which has been one of the main cultural and entertainment complexes of Kyiv for 15 years. 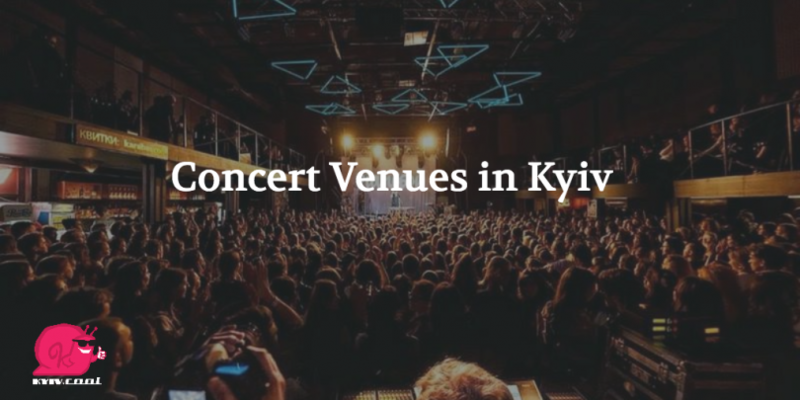 It is one of the largest concert clubs in Ukraine, which can accommodate up to 1500 spectators. 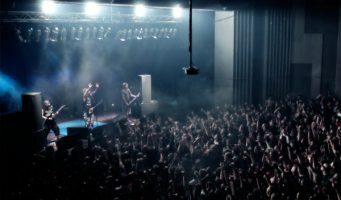 The club has its own technical base, which allows organizing concerts for popular performers. “Bingo” regularly hosts concerts, festivals, discos and parties. Moreover, in addition to organizing events, the club has its own entertainment projects for every taste.